Керкинитида Евпатория история с древних времен, до наших дней Отдых и лечение в Евпатории » О Крыме - More about the Crimea. » Stary Krym — «Old Crimea». 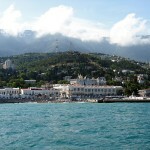 Stary Krym — «Old Crimea». 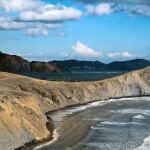 Stary Krym («Old Crimea») is a quiet, modest town in the Eastern Crimea, its history numbers not one millenium. At the beginning of the 1st millenium there was a Taun settling Karia here, then it bore the name of Surkhat and in XIII-XV cc. — Solkhat. The last two names originally come from Armenian «surbkhach» that is «the holy cross». At the end of the XV century the town was conquered by the Tatars and called Eski Krym (“Old Moat”). The formation of the Crimean khanate with the capital in Bakhchisarai Eski Krym lost its former importance. 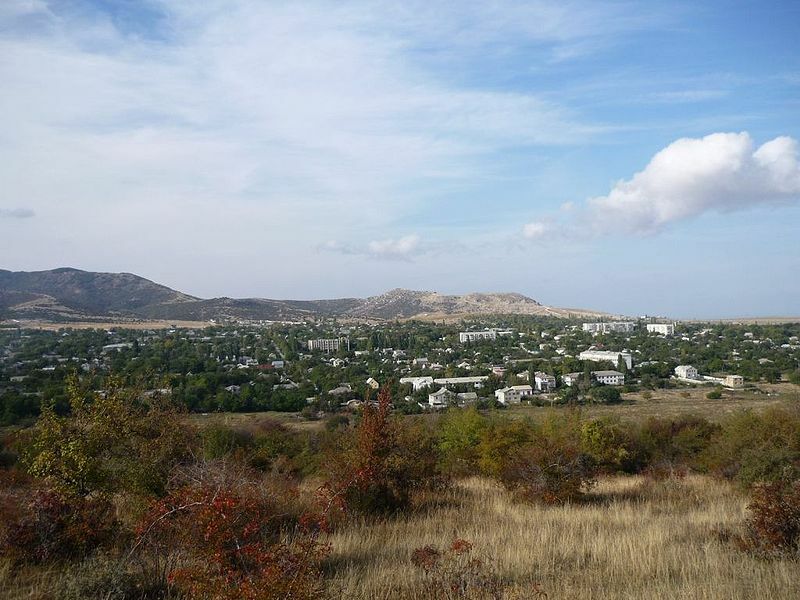 After the annexation of the Crimea it was planned to make Stary Krym its capital and rename it Simferopol. 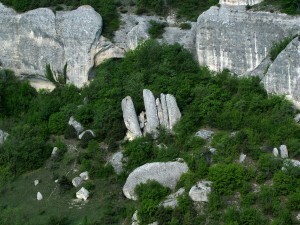 Stary Krym is situated at the foot of the Mount Agarmysh (“Whitish”) which is 724 meters above sea level. In summer the mount gets warm and creates an ascending airflow, which is conductive to formation of a cumulus cloud. The influence of the mount on the local climate is very favorable for treatment of lung patients. There are more than 12 caves on the Agarmysh Mount. 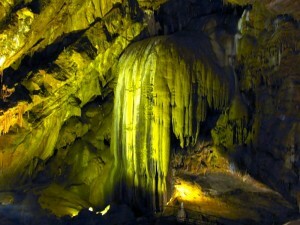 The most famous is the vertical crack, the Sych-Gap 40 meters deep and called by the local people the «Bottomless Well». The cave Fox — Brush with its stalactites and stalagmites is also of particular interest. The forest of the Agarmysh Mount is represented by oak, ash-tree, maple and beech. The shrubs include Cornelian cherry-trees and hawthorn. 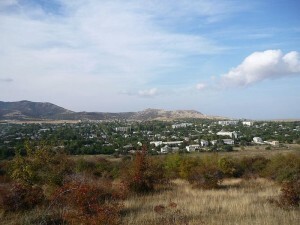 The Agarmysh mount is a resourceful water reservoir supplying the population of Stary Krym and Feodosia with fresh water. On the top of the Mount one can enjoy a beautiful panorama of the valley of the Churuk — Su River, the magnificent mountain ridge of Djady — Kaya (“Witch Cliff”) and the peaks of Kara — Dag (“Black Mount”) in the distance. Not far from it there is the grave of Mamai Khan (d.1380), the ruler of the Golden Horde, who was defeated in the battle of Kulikovo (1380, September, 8. ) by troops led by Dmitry Donskoy (1350-1389). 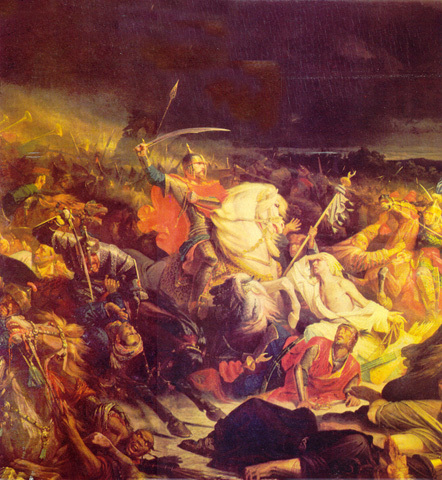 The battle of Kulikovo was referred to by the contemporaries as the «Mamai Slaughter». The historical monuments of Stary Krym are represented by the Uzbek Mosque, the ruins of a Middle Age church, St. George Armenian monastery. The Uzbek Mosque is one of the oldest mosques in the Crimea, it was built in 1314. There was a medresseh (the religious sckool) attached to the mosque built later in the 14th century. Uzbek Khan (1282-1342) was the Khan of the Golden Horde (1312-1342), under him the Horde became a very powerful state. Uzbek Khan spread Islam and founded the capital of the Golden Horde Sarai-Berke(now Selitreno in Astrakhan region). 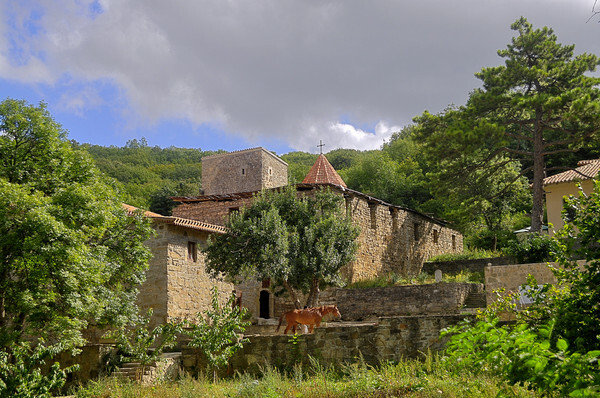 St. George Armenian monastery built in 1338 stands in a picturesque mountain locality 4 kilometers from Stary Krym. A shady path leads to the well-preserved Middle Ages building built of stones. On the cupola there is a date of construction. In the monastery there is a church, a refectory, a cell and a watching tower over the building. 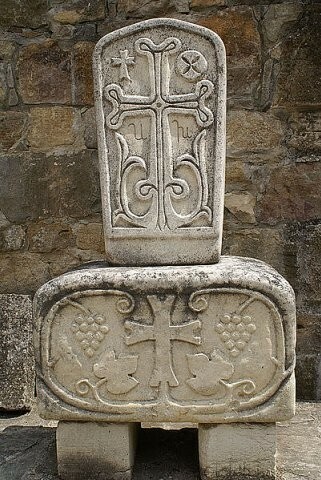 The monastery was a religious center of the Armenian — Gregorian’s who migrated to the Crimea from Caucasus. 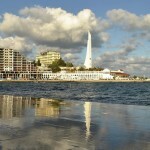 Since the annexation of Crimea by Russia in 1783, the town has been known by the Russian name Staryi Krym (literally «Old Crimea» — Russian translation of the original Crimean Tatar name Eski Qırım). The famous Russian writer Alexander Grin (August 23, 1880 – July 8, 1932) lived in Staryi Krym. Grin came form of his real last name (Grinevsky). Some of his novels contain an element of magic — not as an established part of his world, but always as a miracle that changes the lives of those who encounter it. 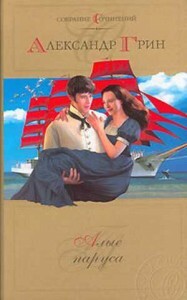 “Scarlet Sais” ( “Алые паруса”, 1923), a simple but powerful love story, perhaps the most famous of Grin’s works. The Scarlet Sails is a celebration in St. Petersburg, Russia is the most massive and famous public event during the White Nights Festival. The tradition is highly popular for spectacular fireworks, numerous music concerts, and a massive water-show including battle among tens of boats full of pirates on the waters of Neva river. 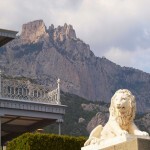 At the foot of the Agarmysh Mount stands the former estate of the great painter of seascapes Ivan Aivazovsky (July 29, 1817 – May 5, 1900) was a Russian painter of Armenian descent living and working in Crimea, most famous for his seascapes, which constitute more than half of his paintings. The citizens of Stariy Krym honour the memory of the soldiers perished for freedom and independence of their Motherland in the battles ofthe Great Patriotic War. There is a monument to the fallen soldiers in the center of Stariy Krym. April 13, 1944 is the Liberation Day of the city. The History of the Crimea till 1783.